Let me introduce myself, my name is Kendall. I have now completed two separate classes that Gerry McMullen includes with the purchase of gold nugget machines. In my case it was a Minelab GPZ 7000 and the SDC 2300. Thanks goes to Gerry and his staff for the hands on training and helping me to understand how the pros set up their detectors and explaining why and how to do it their way. The confidence you gain is priceless when you are all alone in the field and that self doubt starts to creeps into your thoughts. The class is structured so that if anyone hits a target we all gather around and learn first hand all the possibilities and get to hear what your detector sounds like. The majority of the class did find nuggets. One day was dedicated to a class setting and we all got to learn from Gerry’s 35+ years of experience and the wisdom he has gained over the years. Gerry displayed a variety of recovered gold in different shapes and sizes in it’s natural form, while demonstrating the abilities between each detector model. These comparisons helped build on that confidence factor of which detectors perform best on different kinds of gold. The kinds and types of gold was beyond description. The neat part of my story is the fact that only after 45 minutes of detecting I found a nugget that weighed 1.9 grams. 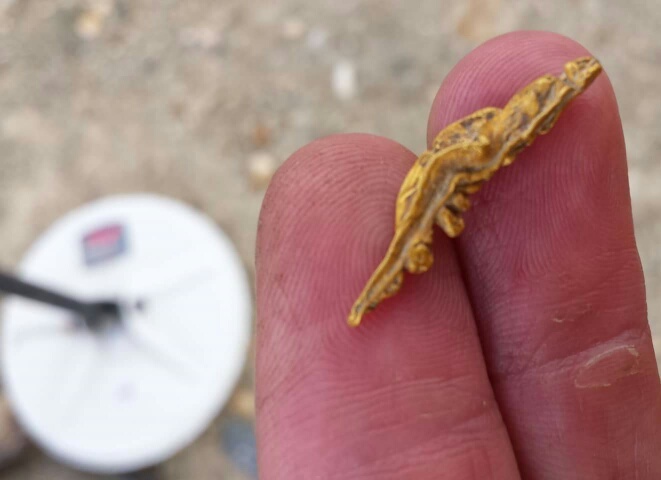 Apparently it is a special form of gold nugget called a chevron. I was told they are not common and I may never find another one that unique. I was fortunate that no one was recording because the celebratory dance would be very embarrassing. I would recommend Gerry’s class to anyone wanting to increase their confidence and ability to recognize and learn the capabilities their gold machines. 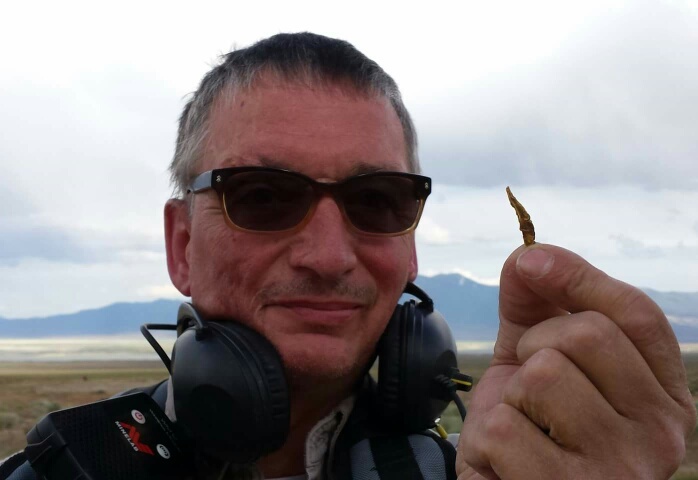 In closing, we were asked to tell everyone what our best find was…..you might think it would be that nugget but actually it is Gerry McMullen and all that he has shared during the classes. THANKS AGAIN GENTLEMAN. Till we meet again may we always scrub the ground with great coil control. Good for you. But the vast majority of us do not have several thousand dollars to spend on two pi detectors.